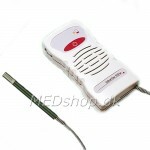 Doppler equipment for examination that eg. pregnant or circulatory find you here. 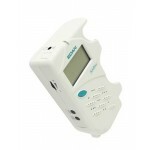 Looking for a doppler (doptone) we have different models with different probes. 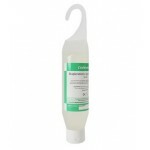 We also have dopering gel and extra probes. 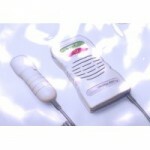 Our sonotrax dopters have the option of both a 2 MHz probe for doppler examination of pregnant mhp. FHR (Fetal heart rate) and one for example. 8MHz probe for determining perife pulse at eg. peripheral blood pressure measurements in general practice, wound ambulatory, home care, foot care and many other places. The probes are waterproof and the device itself is a smart mounting of the probe on the side so it is always well protected.